The Society’s latest conference explores the events of Easter 1916 from both a local and national perspective. 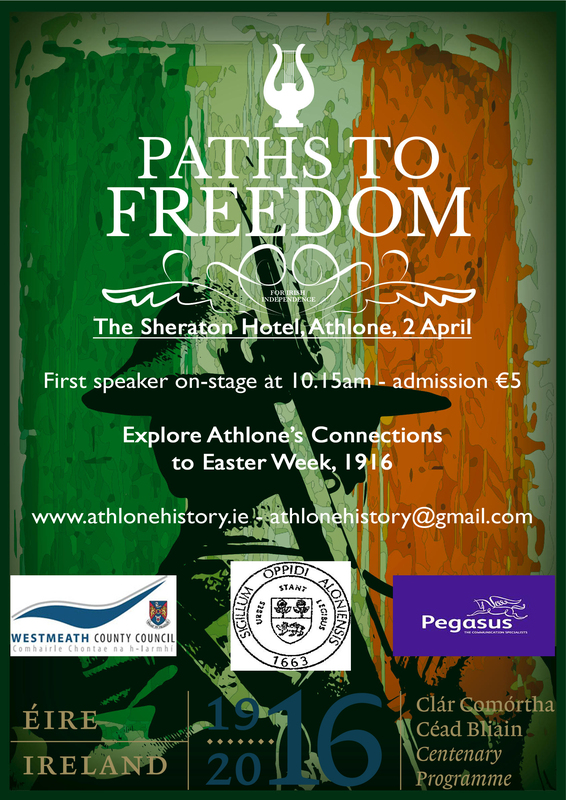 On Saturday 2 April 2016, The Old Athlone Society will host ‘Paths to Freedom’, a day of talks that will explore the history of the Easter Rising from both a national and local perspective. The event, to be held in the Sheraton Hotel, is part of Westmeath County Council’s 1916-2016 programme of events. Dr Myles Dungan, of RTE’s ‘The History Show’ will describe how the leaders of the Rising were tried by court martial and the consequences of the subsequent executions. Dr Liz Gillis will discuss the vital role that women played in the Easter Rising. They were educationalists, socialists, community workers, radicals, and feminists with one common goal; independence for Ireland. Ian Kenneally will demonstrate the war of words, and the war of images, that preceded and followed the Rising, a time when censorship meant that no newspaper was safe. Many of the key figures of Easter Week were journalists. 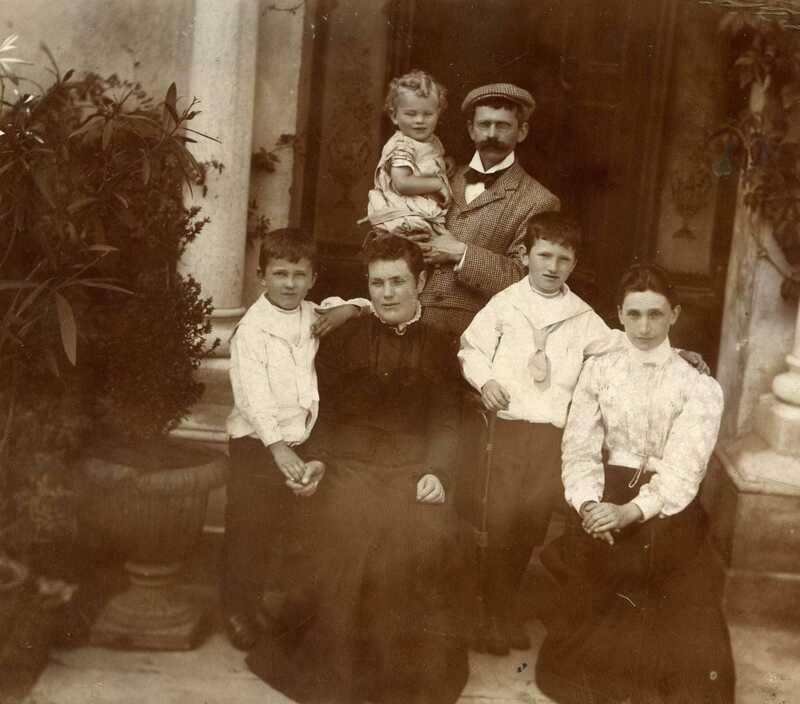 Gearoid O’Brien’s talk will bring to life the relatively unknown stories of many men and women from Athlone and Westmeath whose lives were changed by the Rising. 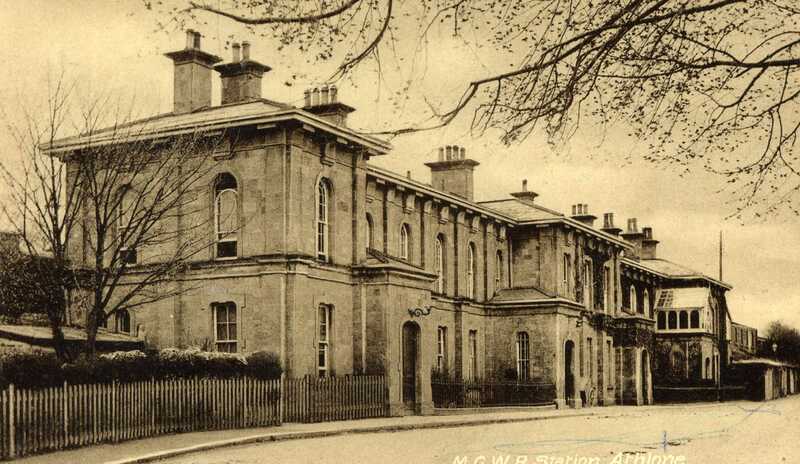 Dr John Burke will explore the history and myths of the Midland Volunteer Force, an often mentioned but poorly understood event in our local history. Turtle Bunbury will talk about the lives and personalities of many of those, both famous and forgotten, whose memories are intertwined with Easter 1916. In November 2015, The Old Athlone Society held a conference to celebrate its fiftieth anniversary, which examined the history and archaeology of Athlone and surrounding regions. ‘Athlone Castle: new insights on an ancient monument’ by Dr Rory Sherlock. ‘Anglo-Norman Settlement in South Roscommon: its rise and fall’ by D r Harman Murtagh. ‘Keynote address’ by Mr Justice Adrian Hardiman. ‘Some Pioneers of Athlone’s Local History: from Sir Henry Piers to Billy English’ by Gearóid O’Brien. ‘Custume Barracks: a History’ by Ian Kenneally. ‘The Development of Horse Drawn Public Transport in Athlone 1740- 1840’ by Dr Pat Wallace. ‘TP O’Connor from Westmeath to Westminster’ by Ruth Illingworth. Afterwards, there was a reception and a fiftieth anniversary dinner in the Officers’ Mess, Custume Barracks. The Society plans to produce an edition of the journal devoted to the conference proceedings and the town’s history. On 23 November 2013 Custume Barracks, Athlone, hosted The Old Athlone Society’s conference on ‘The Civil War in the Midlands’. This conference, which was sold out, was a pioneering effort to make this still controversial topic more accessible to the Irish public. The conference received contributions from historians based in Ireland, the United Kingdom, and Canada. John Regan provided the keynote address while the panel of speakers also included John Borgonovo, Ann Mathews, Bill Kissane, John Burke, Patrick Murray, Ian Kenneally, and Gavin Foster. A special edition of the journal based on this conference was published by the society in winter 2015, and can be found on our publications page. On 26 November 2011 Custume Barracks, Athlone, hosted the Old Athlone Society’s conference on ‘The War of Independence in the Midlands’. Speakers included Margaret O’Callaghan, Marie Coleman, William Sheehan, John Burke and Philip McConway. The society published a special journal related to the conference in October 2013, more details of which can be found on our publications page.